Posted on 18/04/2017 at 12:16 pm. Thousands of prisoners expected to join rights protest led by Marwan Barghouti that has significant political backing. Hundreds of Palestinian prisoners held in Israeli jails have gone on hunger strike over conditions of captivity, with more expected to join on Monday, in one of the biggest protests in recent years. Led by the high-profile Fatah prisoner and leader Marwan Barghouti, seen by some as a potential successor to Palestinian president Mahmoud Abbas, 700 prisoners initially joined the strike, announced on Sunday evening. The protest includes members of Fatah as well as prisoners from Hamas and Islamic Jihad. The strike, long planned, is seen as having widespread political support – not least in the year marking the 50th anniversary of the Israel occupation of the Palestinian territories, captured during the six day war in 1967. Palestinian Prime Minister Rami Hamdallah, as well as Hamas leaders in Gaza, have announced their backing. The Palestinian National Council, the legislative body of the Palestine Liberation Organisation, also expressed its support for the strike on Sunday. The number of prisoners going on hunger strike was expected to expand to 2,000 of the Palestinian prisoners being held in Israeli jails. 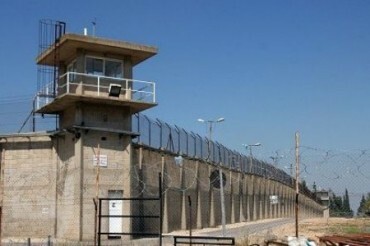 The hunger strike was announced to coincide with Palestinian prisoners’ day which is marked on Monday. Prisoners’ demands include improved visitation rights from family members and easier access to telephones. The visitation rights are a case of particular concern. While Israeli Prison Service regulations stipulate that all prisoners are entitled to family visits once every two weeks, in reality Palestinians from the occupied Palestinian territories are required to apply for permits to enter Israel in the first place – permits which are often denied. The announced strike began at Hadarim prison, where Barghouti is serving a prison sentence handed down by an Israeli court for his conviction for five murders. Barghouti’s key role is seen by both Israelis and some members of his own Fatah party as significant in the midst of efforts by an ageing Abbas to centralise power around himself and a small circle of close associates. In a comment piece written from prison for the New York Times on Monday, Barghouti said that the hunger strike was “the most peaceful form of resistance available”. “Decades of experience have proved that Israel’s inhumane system of colonial and military occupation aims to break the spirit of prisoners and the nation to which they belong, by inflicting suffering on their bodies, separating them from their families and communities, using humiliating measures to compel subjugation,” he wrote. A largescale hunger strike – not least in the year marking the 50th anniversary of the occupation and the 100th anniversary of the Balfour Declaration, which is regarded as highly significant by Palestinians – has the potential to raise tensions again. They have only recently subsided after the 2014 Gaza war and a wave of Palestinian attacks that has declined only in recent months.